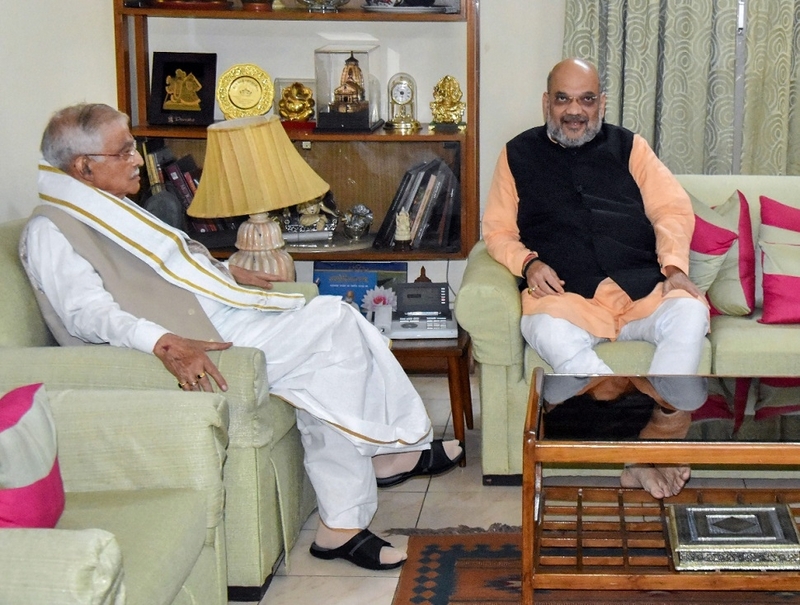 BHARATIYA Janata Party (BJP) President Amit Shah has met party veterans L K Advani and Murli Manohar Joshi on Monday evening. Shah is meeting the two leaders days after they were not given poll tickets. After meeting Joshi Shah drove to the residence of Advani, who has been virtually sidelined in the party. It was not immediately known what transpired at the meeting. The BJP has fielded Shah from Gujarat’s Gandhinagar, a seat represented by Advani for many years. Joshi has been replaced by Satyadev Pachauri in Kanpur. After being denied ticket, Joshi had issued a statement saying the BJP told him that he would not be nominated by the party in Kanpur. While Advani has not said anything about being dropped from the party’s list of Lok Sabha candidates, he wrote a blog asserting his party never regarded those who disagreed with it politically as “anti-national”. More or less, both Advani and Joshi were sidelined in the party after 2014 general elections, in which the BJP got clear majority under the leadership of Narendra Modi. After easing them out of key organisational positions, the party leadership brought the curtains down on their electoral innings by not giving them tickets to contest the Lok Sabha polls this time. The BJP had earlier announced that it will not give tickets to those above 75 years of age.